Alright back to the topic! If you're planning to have a free & easy trip in Taiwan, definitely you need to do a lot of research before jetting off to the Heart of Asia. So let's start! I will be traveling with AirAsiaX, and will touch down in Taiwan Taoyuan International Airport. Yes, travel insurance is a MUST for me since the incident happened during my BKK trip last year. You can always purchase travel insurance online eg: AIG, AXA.. at the price ranging from RM19-RM80. If you're in Taipei, always remember: Stay in a hotel or homestay that is nearby MRT station; If you're in Taichung, stay in a homestay (民宿). In Taichung, I stay in Chance Hotel 巧合大饭店 on the first day and Feng Chia Xin Su 逢甲新宿 on the third day. Why not second day? Because I will be going to Cingjing on the second day lol. And I will be staying in Cingjing Maple Leaves Hotel (?) 清境枫叶山庄. Internet is so so so important when you're traveling! (ok la its important to us 24/7 even we're not traveling) You will definitely need internet to contact with people, to connect to social media, or to check the timetable of public transport when you're traveling. 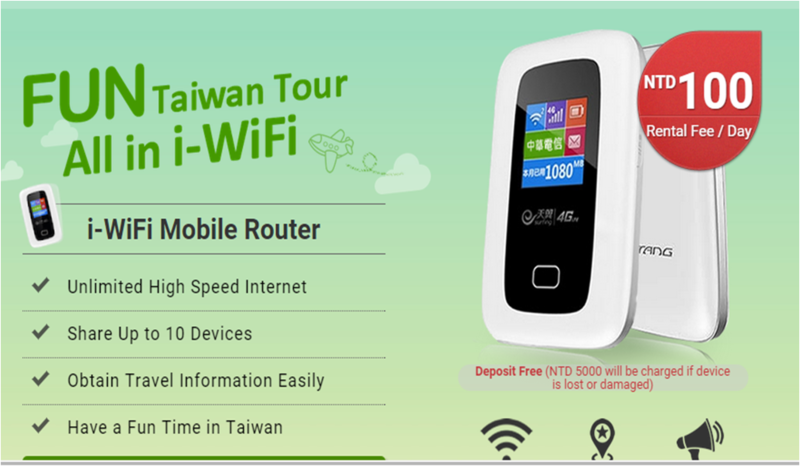 For me, I've already signed up for i-Wifi Mobile Router few weeks before my departure. The rental costs only NT100/ day. The pick-up and return procedure is easy too - i-Wifi representative will pass you the device once you arrive at Taiwan airport; To return the device, all you need to do is return it at any 7-11 in Taiwan at anytime with free shipping fee. Alright, that's all for today :) See you in a few day later Taiwan! Will update my blog about the trip when I'm back! 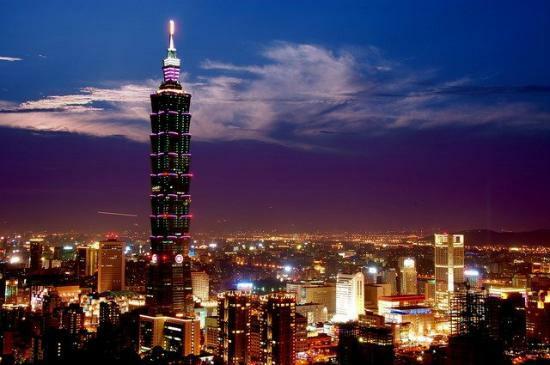 Can you share a copy of your taiwan trip itinerary with me? I only able to view until Day 1. can i have the rest of your travel itinerary? My email is alicewong915@hotmail.com. Hi Wai Ling, sorry for the late reply.